Wongamat Exclusive Residence. Fully renovated town house just 200 metres from Wongamat beach, North Pattaya Located within very easy reach of Wongamat beach, this unique town house development offers a small number of private properties, with a communal swimming pool, and 24 hour security, plus the surrounding area has plenty of amenities, and activities to enjoy. The property has received renovation recently, and is offered for both sale and rental fully furnished. This property would make a fantastic rental investment with the possibility of high annual rental yield. It also makes a great home, at a good price, and superb location. Available for rent on BOTH short & long term contracts. Please contact us for shorter term pricing. Sold under Thai company ownership, with minimal fees to take over the Thai company. Naklua Executive Pool Villa. 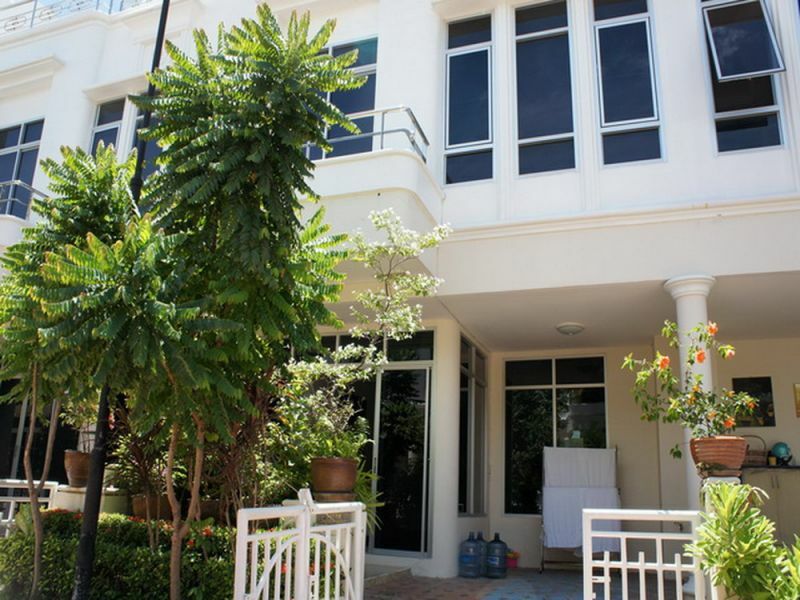 Located in a quiet housing development just off Naklua Soi 16/1 is this tidy private pool villa. It is only a few minutes drive from Pattaya. This villa features 2 bedrooms and 3 bathrooms with an open plan living area with direct access to the private swimming pool. There is a Fully-fitted European kitchen with full size refrigerator and plenty of cabinet space. Both bedrooms are of good size with en-suite bathrooms and ample closet/storage space. They both offer direct access to the pool. There is also a laundry room with washer and dryer. There is an off-street, covered parking area with electric gate and also a storage shed for garden supplies/storage. Ther is a large seating area behind the house for entertaining or just relaxing. It is available for rent fully furnished and comes with full airconditioning. The villa also comes equipped with Cable TV and internet connection. Available for long term contract only. Pool and garden care are included in the rental price.